This week I announced legislation to eliminate residential school property taxes through the state’s existing homestead exclusion program. Senate Bill 1137 is the implementing legislation from the ballot referendum passed in November, where voters across the state supported a constitutional amendment to expand the exclusion program. My proposed legislation provides elimination of school property taxes on all owner-occupied homes by shifting the tax burden from homestead properties to an increase in the state personal income tax (PIT), referred to as the “Education Tax.” The legislation would increase the personal income tax rate 1.98 percent to 5.05 percent. The bill raises $9.3 billion in revenue to cover the $8 billion school property tax shift from owner-occupied homes, as recommended by the Pennsylvania Independent Fiscal Office (IFO). While I remain a supporter of Senate Bill 76, homeowners in my district, especially seniors, cannot afford to continue to wait and lose their homes to high school property taxes. I have heard from countless constituents imploring me to “Do something!” to fix school property taxes. Unfortunately, SB 76 has not seen any movement since it was introduced in June 2017 and the sponsor of the House version waited almost a year-and-a-half to re-submit his version of the same bill. My bill simply expands the state’s existing homestead exclusion program, drawing language specifically out of Senate Bill 76 and existing state law, to provide full elimination on owner-occupied homes. Any tax that would take a person’s home after working their entire life to pay for it is wrong and immoral. No individual should have to choose between paying for prescription medications, taking care of their health and paying for property taxes. I am hopeful that this legislation takes us a step closer to protect and safeguard the right to own one’s home. Senate Bill 1041 directs the Department of Military and Veterans Affairs to create logos to promote businesses owned by veterans, disabled veterans, active duty service members and members of the National Guard and reserves. The bill was sent to the House of Representatives for consideration. 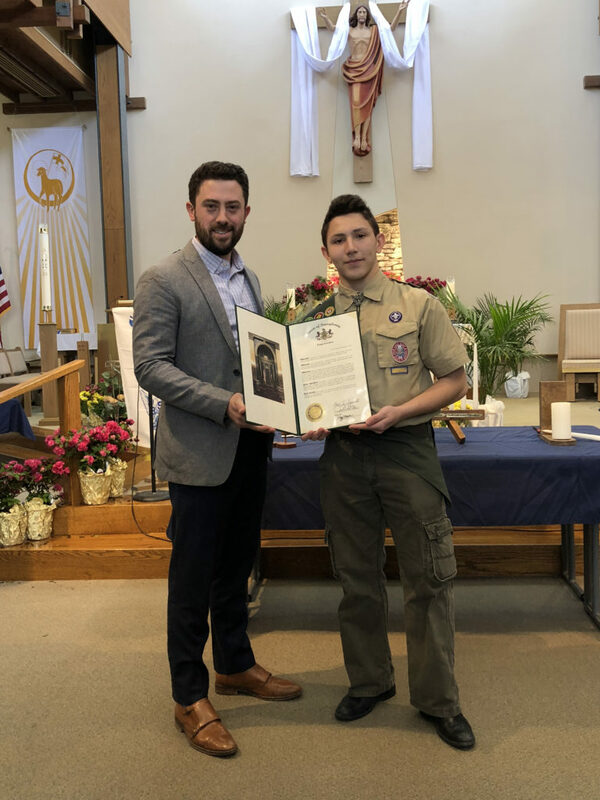 I want to take a moment to recognize the two newest Eagle Scouts of the 40th Senatorial District, Kieran Laverty of Boy Scout Troop 83 and Santiago Churion of Troop 85. 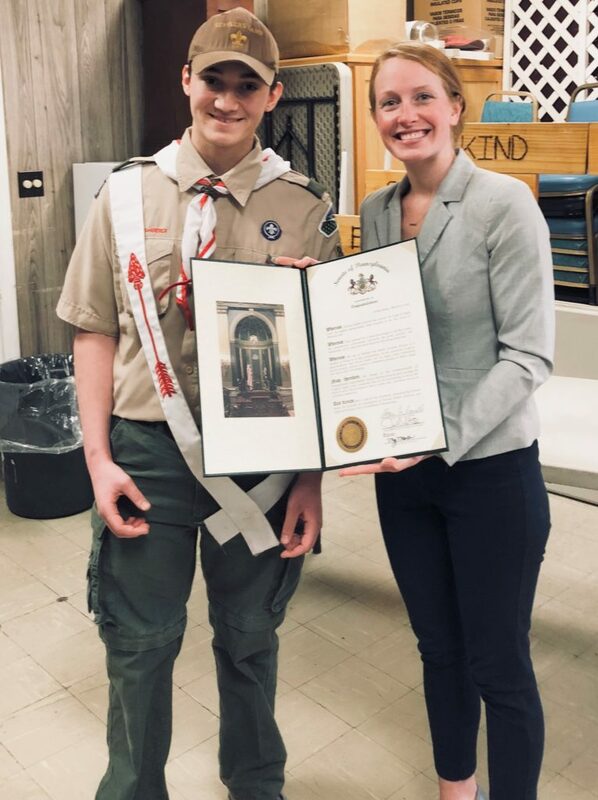 For their Eagle projects, Kieran created a community garden at Moose Lodge 1336 in East Stroudsburg and Santiago constructed a new bridge and reconstructed significant portions of nature trails for the Monroe County Conservation District Messing Nature Center. Congratulations to both of you on a job well done! Your recognition for your accomplishments is richly deserved. 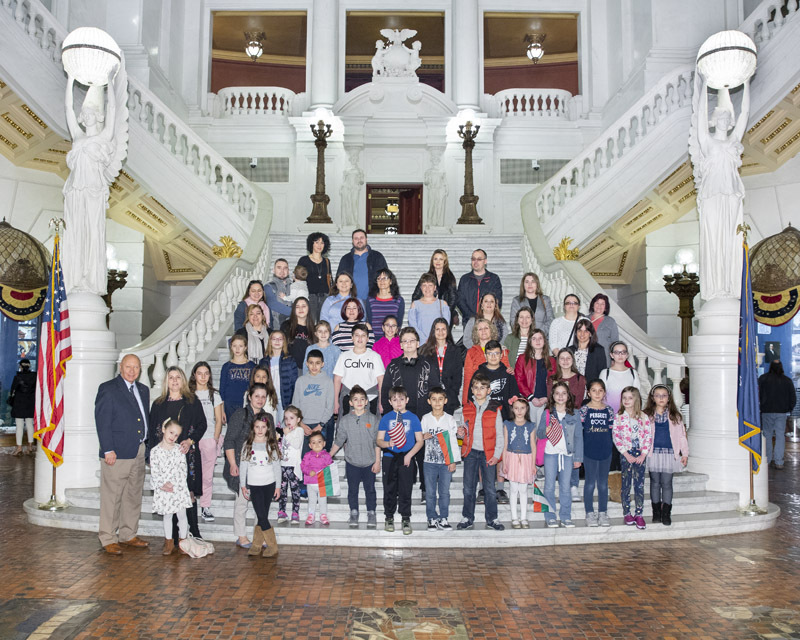 Students from both Monsignor McHugh School and the Pocono Bulgarian School recently visited the Capitol. 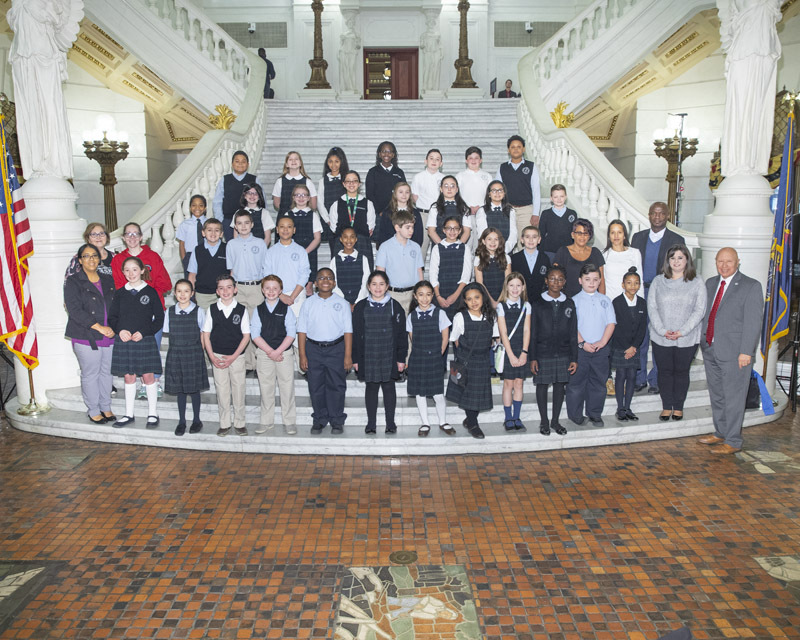 They had the opportunity to visit the Senate and House chambers, see the State Supreme Court chamber and learn about how a bill becomes a law. Thank you all for coming down! I want to extend my warmest wishes to Piramel Critical Care, Merakey Stepping Stones Plus and the East Stroudsburg University Bloomberg Finance Lab who all celebrated their grand openings this week. 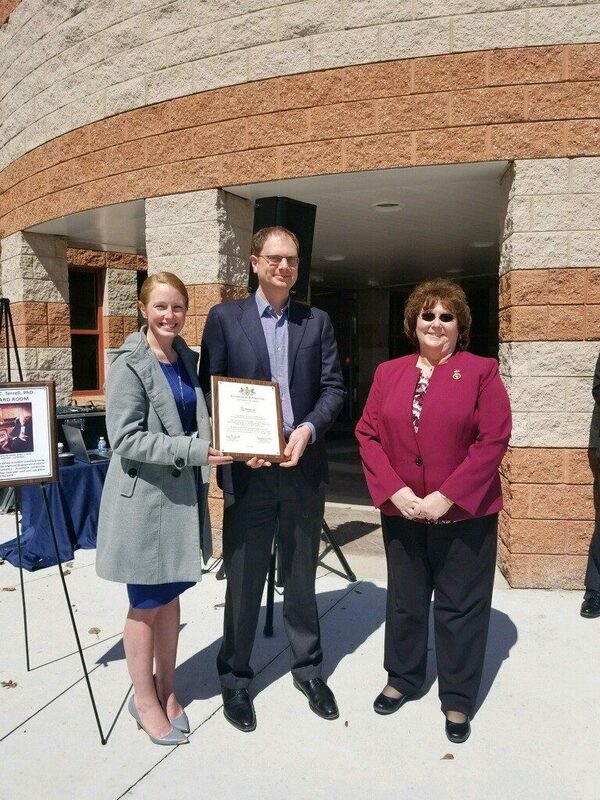 Piramel Critical Care, located in Hanover Township, manufactures high-quality anesthesia products and employs more than 150 employees at their Lehigh Valley location. 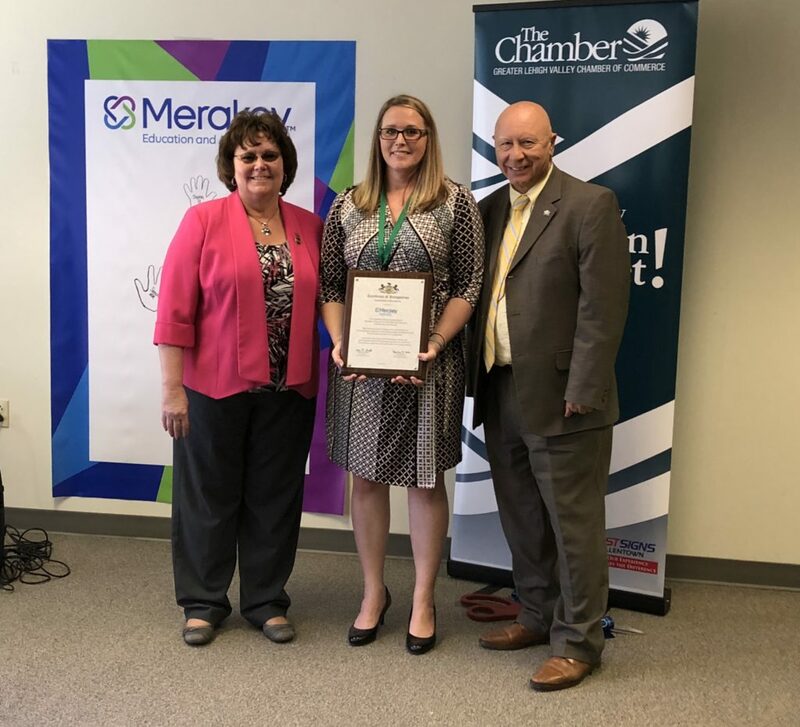 Merakey Stepping Stones Plus, also located in Hanover Township, provides a clinically and therapeutic-based program for children and adolescents who are diagnosed with Autism. Individualized services engage participants in a variety of activities and skill development, offering an alternative to intensive in-home services. 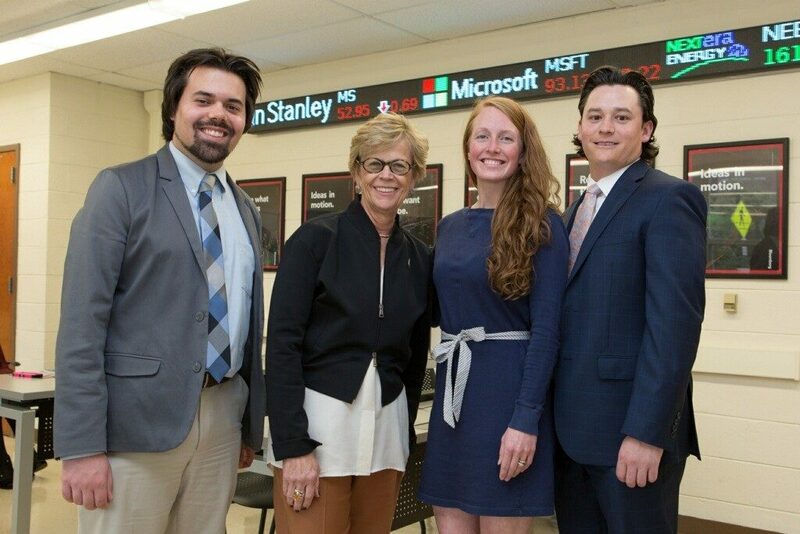 East Stroudsburg University is continuing to move forward with hands-on innovation as they open their new Finance Lab, helping students better master finance and investment skills as they monitor real-time global financial market data. The Senate will return to voting session Monday, May 21 at 1 p.m. You can watch session live at PASenateGOP.com.